And we’re back with more Star Wars goodies! 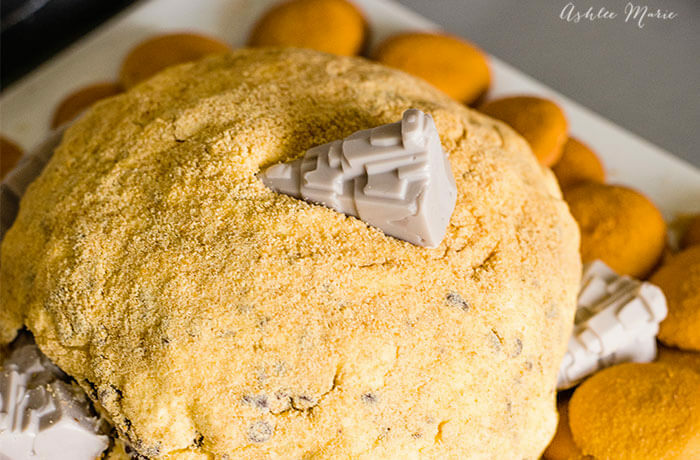 I have this amazing edible sand recipe I use for beach based cakes and so I KNEW I wanted to do something to represent Jakku (the desert planet we find Rey living on) and then I found this mold for the Imperial Destroyers and AT-AT’s, which the planet is littered with, so I knew it was fate! I simply had to narrow down what recipe to use! There are so many round/roundish treats perfect for parties, but it needed to be big, and I already had oreo balls… so cheese ball it was! 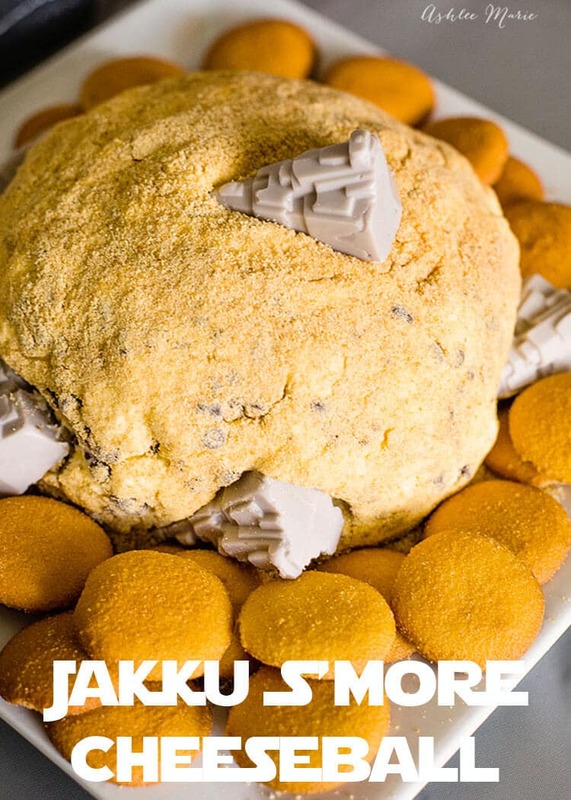 And rather than go with my savory traditional cheese ball (which the edible sand would NOT have been good on) I decided to go with something SWEET! 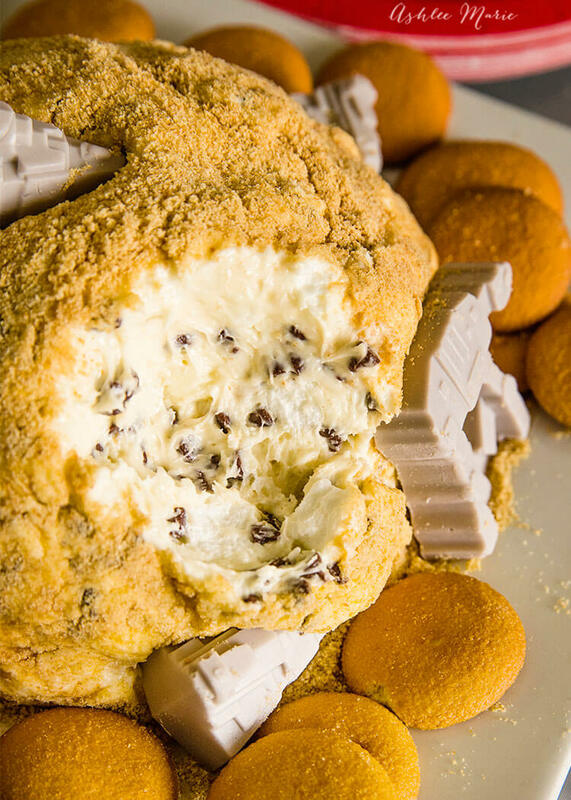 And since I’m completely obsessed with S’mores right now it was an easy choice – S’mores cheese ball! 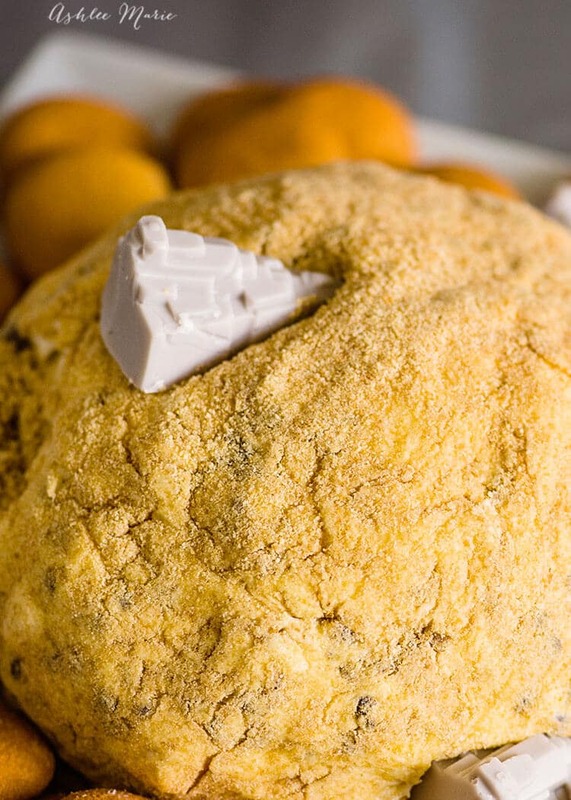 If you don’t want to make the edible sand you can just crush some graham crackers and roll the cheeseball in that as well! so easy peasy! SO tell me – what’s your favorite Star Wars Plant? Personally I like the green ones – as a gal who grew up in oregon the more wet and green the better IMO!